Perhaps you’ve taken the “tissue test” and discovered that your pearly whites aren’t so bright. 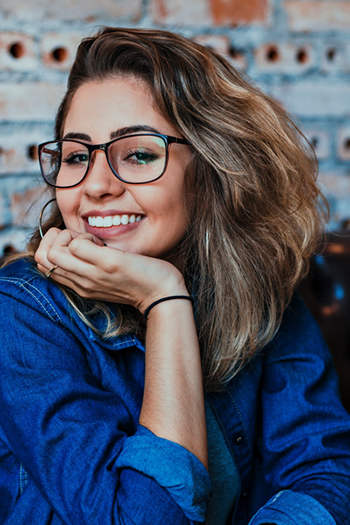 The good news is that at K&R Dental, we offer effective teeth whitening that can give you a gorgeous gleaming smile that you’ll love to show off! We feature teeth whitening with Pola, an advanced, fast-acting formula that will leave you with stunning results. This simple, noninvasive and convenient teeth whitening system can help you rejuvenate your smile by erasing years of stains and giving you a more youthful look. To make teeth whitening more easier than ever, we offer Pola in two ways: with a fast, in-chair procedure that can be completed easily during your lunch hour, or in a take-home kit. Pola uses oxygen ions that saturate the enamel of your teeth, breaking down long-standing discolouration. The stain molecules are made into colourless particles that can then be rinsed away. The in-chair whitening solution has a stronger concentration of whitening ingredients, giving it superior brightening power in a shorter amount of time than the take-home kits. We can discuss the advantages of each whitening option with you at your initial consultation. In just one appointment, you can leave our practice displaying a brighter smile. The whitening solution is applied to your teeth using comfortable trays while your gums and mouth are carefully protected. You will be supervised throughout the procedure, making it a safe and effective process. Once we have completed the treatment, the trays will be removed, and the whitening gel can be rinsed away. You’ll see the brilliant results immediately. If you’d like to whiten your teeth from the comfort of home, you can purchase a take-home kit directly from our practice. It contains everything you’ll need to whiten your teeth yourself, including trays that we’ll create from a quick impression taken of your teeth. We will provide you with the Pola gels and complete instructions so you can whiten your teeth confidently. Lavington Dentist Dr Jai Rawal is warm, caring and passionate about helping his patients achieve the healthy and beautiful smile of their dreams. Contact us today to book an appointment!